Today's young women face a bewildering set of contradictions when it comes to beauty. They don't want to be Barbie dolls but, like generations of women before them, are told they must look like them. They're angry about the media's treatment of women but hungrily consume the very outlets that belittle them. They mock modern culture's absurd beauty ideal and make videos exposing Photoshopping tricks, but feel pressured to emulate the same images they criticize by posing with a skinny arm. They understand that what they see isn't real but still download apps to airbrush their selfies. Yet these same young women are fierce fighters for the issues they care about. They are ready to fight back against their beauty-sick culture and create a different world for themselves, but they need a way forward. 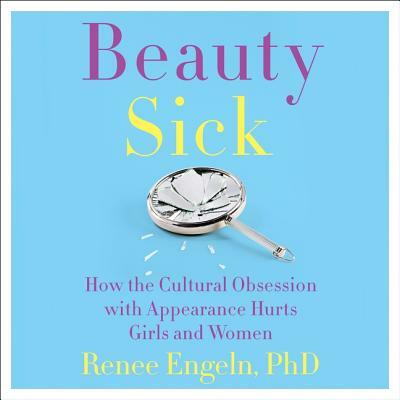 In Beauty Sick, Dr. Renee Engeln, whose TEDx talk on beauty sickness has received more than 250,000 views, reveals the shocking consequences of our obsession with girls' appearance on their emotional and physical health and their wallets and ambitions, including depression, eating disorders, disruptions in cognitive processing, and lost money and time. Combining scientific studies with the voices of real women of all ages, she makes clear that to truly fulfill their potential, we must break free from cultural forces that feed destructive desires, attitudes, and words--from fat-shaming to denigrating commentary about other women. She provides inspiration and workable solutions to help girls and women overcome negative attitudes and embrace their whole selves, to transform their lives, claim the futures they deserve, and, ultimately, change their world.